The Israeli political establishment – from right to left – mourned the passing of Rabbi Hanan Porat after he passed away Tuesday. The Israeli political establishment – from right to left – mourned the passing of Rabbi Hanan Porat Tuesday, with tributes pouring in from a wide array of political figures, from the Prime Minister on down. 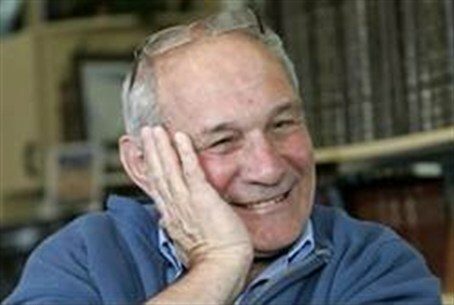 In a statement, Binyamin Netanyahu, referring to his key role in organizing and directing Gush Emunim, said that “Hanan Porat dedicated his life to the building of the Land of Israel, to the education of an entire generation of National Religious youth, and to fostering the love of the Land and People of Israel,” adding that he and the government expressed their “deep sorrow” at Porat's passing. “As a member of Kibbutz Kfar Etzion, which was rebuilt after being destroyed during the War of Independence, Hanan led the return to Gush Etzion. His contribution to the building of the Land, to education, and to Zionist education, are a singular example to all Israelis,” Netanyahu said. Knesset speaker Reuven Rivlin (Likud) said that the Knesset expressed its sorrow over Porat's succumbing to cancer at age 67. “Rabbi Porat was a dedicated Zionist, a professional parliamentarian, and a dedicated builder of the Land of Israel,” Rivlin said. Kadima head Tzipi Livni also eulogized Porat. “Hanan Porat was one of the most important symbols of the religious settlement movement, and he succeeded, because of his personality and his special abilities, to become a bridge between different streams in Israeli politics. His decades-long political activity were an example of love of the Land and People of Israel. All of us – both those who followed him and those who disagreed with him – will miss him,” Livni said.